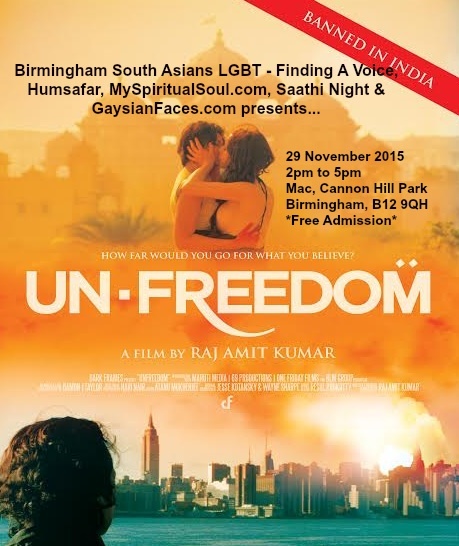 Birmingham South Asians LGBT – Finding A Voice, Humsafar Leicester, MySpiritualSoul.com, Saathi Night and GaysianFaces.com presents “Unfreedom” a film by Raj Amit Kumar. This film was banned in India due to the film’s LGBT content; this will be the first screening of Unfreedom here in the UK. Unfreedom is an urgent contemporary thriller about a society torn apart by political, religious, and sexual turmoil. Shifting between New York and New Delhi, the film juxtaposes two powerful and unflinching stories about religious fundamentalism and intolerance, one of which follows a Muslim terrorist attempting to silence a liberal Muslim scholar, while the other is about a young woman who defies her devout father and escapes an arranged marriage because she is secretly embroiled in a taboo lesbian romance. In this searing portrait of the polarized world we live in, all four characters go to their absolute limit—and beyond—in their struggle to defend their deeply-held and conflicting viewpoints on freedom, faith, family and love. We’ll be screening Unfreedom on 29th November 2015, at the Mac in Birmingham. There will be a social mixer from 2pm to 3pm, followed by the screening. Free admission. Birmingham South Asians LGBT – Finding A Voice: Birmingham South Asians LGBT – Finding A Voice is an independent, non-funded social/support group for South Asians aged 18+ who identify as LGBT, regardless of faith, culture, religion or disability. Reaching out across Birmingham and the Midlands, FAV aims to empower individuals to find acceptance within themselves and the wider community. Humsafar Leicester: Humsafar is a South Asian support service for the LGBT community living in Leicester, Leicestershire and Rutland. topics that need to be addressed for LGBTQI ethnic minorities. 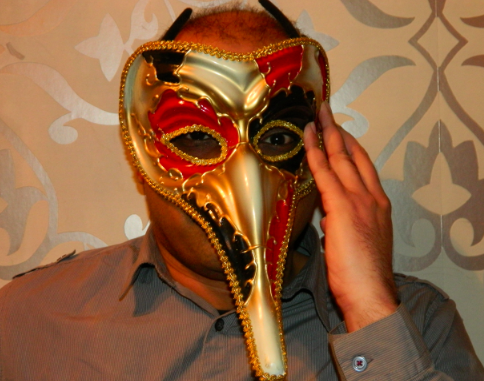 Saathi Night: Saathi is a monthly Gaysian Club night in the West Midlands. They have been on the scene for over 13 years. They provide a safe space for the Gaysian community to let individuals be themselves. GaysianFaces.com: Gaysian Faces is a Queer Anthropology Photography Project focusing on the South Asian LGBTQ community. 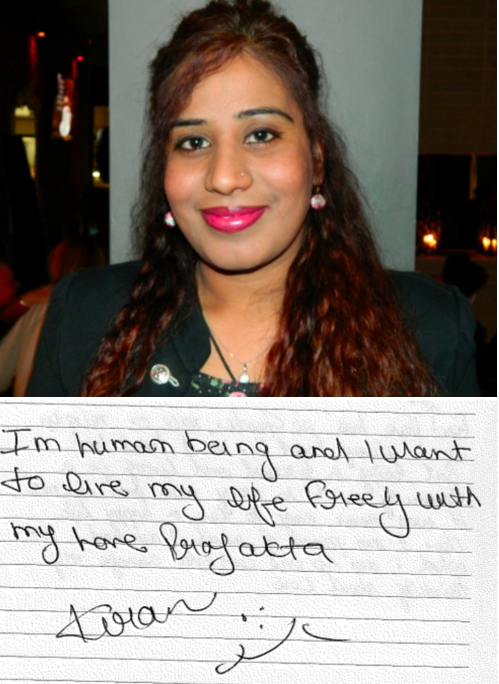 We take a headshot of the individual and they write on a piece of paper “who they are” or whatever they like to write. We merge those two images together. Our objective is to capture the beauty, creativity, diversity and individuality of the Gaysian community. 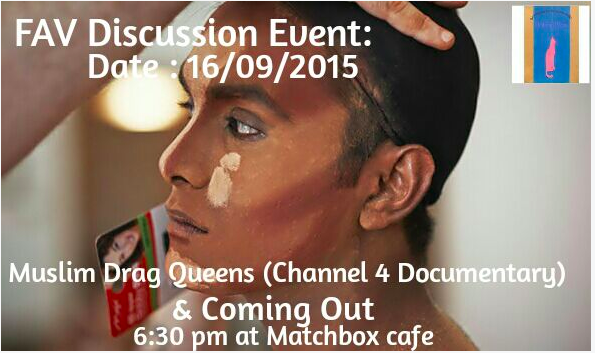 Birmingham South Asians LGBT – Finding A Voice will be hosting their monthly get together at Matchbox Cafe 16/09/2015 6:30pm. This month’s roundtable discussion will be focused on the Muslim Drag Queens documentary, which debuted on CH4 last Monday. The documentary starred Asifa Lahore, Zareena Khan and Ibrahim (who kicked off Gaysian Faces). About 30 minutes into the documentary, #MuslimDragQueens started trending on twitter. Khakan Qureshi, founder of Finding A Voice, will be facilitating the roundtable discussion. Besides discussing and debating, you’ll also get a chance to make new friends and network with the Gaysian community in Birmingham.